Throw out the taco-flavored corn chips and don't even think about going out for drive-thru Mexican food. All you need are Exo Protein's Crispy Taco flavored cricket snacks. It's always a good time for tacos. Unfortunately, taco-flavored snacks aren’t always healthy—but that's not the case with our deliciously flavored cricket snacks. Savory taco flavors and seasoning are perfectly balanced to clear your mind and boost your energy. Enjoy the big taste of an all-dressed taco in every little bite. It doesn't get much better than crickets as a source of protein. For such small packages, they'll boost your energy and keep you fueled throughout your bike ride, hiking adventure, or CrossFit workout. Thanks to plenty of B12, you're sure to get a healthy buzz while remaining eco-friendly. Exo Protein works diligently to provide you with snack options that are both delicious and sustainable. 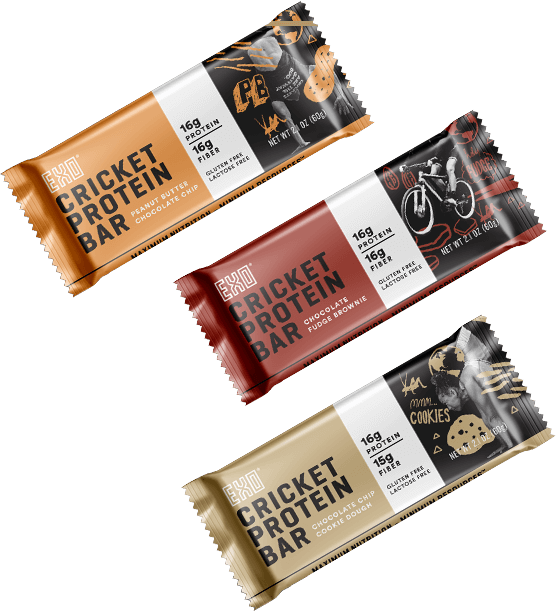 Learn more about our revolutionary snacks and why we chose cricket protein on our “Why Crickets?” page.